The top elected Republican in the United States said the U.S. House of Representatives may vote to legalize CBD, potentially opening a bounty of new market opportunities for this form of marijuana oil. House Speaker Paul Ryan, a Wisconsin Republican, told a local broadcaster Monday he’s fairly confident a CBD legalization measure can pass the House. “This oil does not have THC in it, so therefore it really shouldn’t be lumped into the category of anything close to legalization of marijuana and that’s the confusion that typically surrounds the issue,” Ryan told News 3. He also said a CBD legalization bill has been working its way through the process thanks to one of his fellow Republicans, Rep. Scott Perry of Pennsylvania, and that it stands a good chance of passage. If the Senate concurs on the measure, that could open up the entire country to legal CBD production. 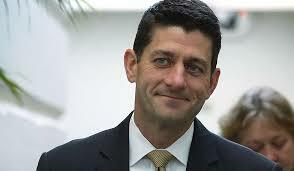 Ryan did not, however, mention when the bill may come up for a vote, or if it may happen this year or next.